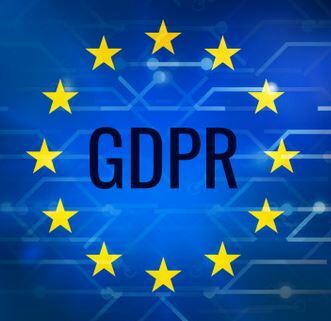 To prepare for GDPR coming into force on 25 May 2018, Visual Management Systems Ltd. will be making sure that we comply with this EU legislation. Your personal information is extremely important to us and as before its storage and processing is taken very seriously. The trade-off between knowledge and privacy is a complex issue, particularly in the B2B space. It is essential that you keep up-to-date with industry developments, but equally it is important that you feel confident that your personal data is safe, secure and not being shared with third parties - At Visual Management Systems Ltd. we are committed to ensuring that your personal data is being managed in a sensitive and compliant manner. Visual Management Systems Ltd. will be taking into account best practices as it builds strategies to communicate with clients and prospects. Providing a robust data management system in order to track engagement and honour ‘opt-outs’ will be a basic requirement for our programme. Meanwhile, by refining data and ensuring that our messaging is targeted and content is relevant, we will put ourselves in the best position not only to comply with the GDPR legislation, but stand a much better chance of building relationships with prospective clients. Visual Management Systems Ltd. will be taking into account best practices as it builds strategies to communicate with clients and prospects. Providing a robust data management system in order to track engagement and honour ‘opt outs’ will be a basic requirement for our programme. Meanwhile, by refining data and ensuring that our messaging is targeted and content is relevant, we will put ourselves in the best position not only to comply with the GDPR legislation, but stand a much better chance of building relationships with prospective clients.